A lovely graphic novel of the author’s search for an explanation for her unhappy Vietnamese-American family. 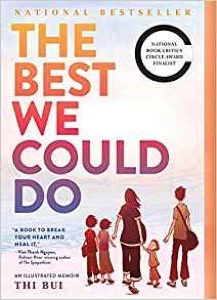 Bui started this book as an alternative to her dissertation, which explored the history of Vietnamese refugees in their historical context but failed to get at the emotional core of her experience. An exceptional and concise portal into a complex history, rich with nuance and unexpected gentleness and complimented by Bui’s wonderful portraiture and deft watercolor work.